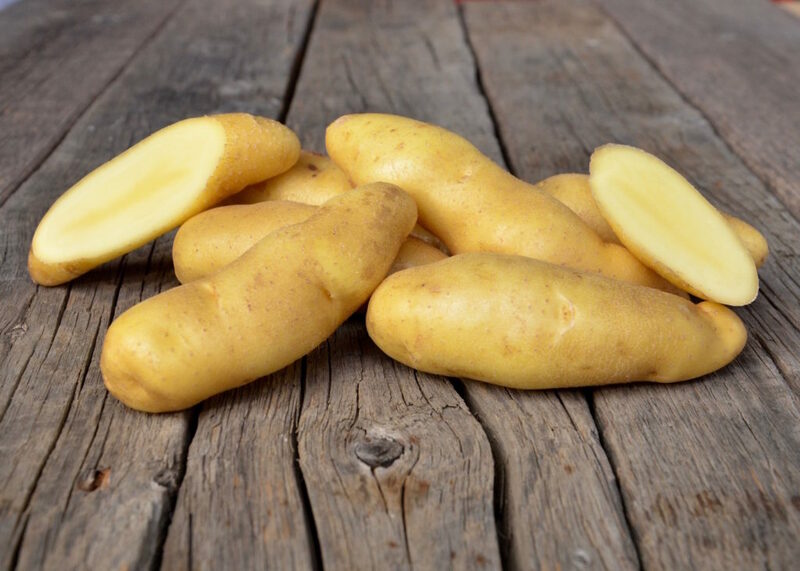 Austrian Crescent is a golden crescent-shaped fingerling with a firm waxy texture and deep yellow flesh. It is delicious in salads or when roasted or boiled, staying firm after cooking. Austrian Crescent is a high yielding variety with some tubers growing up to 10”.